Looking for a sweet new DJ Mix to wrap your head around? 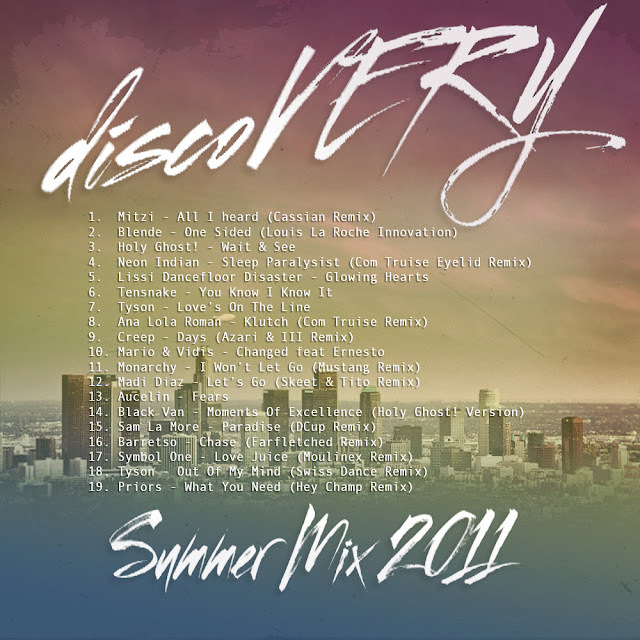 Then look no further than DiscoVERY Music Group's latest Summer Mix 2011. They are fans of OTR's and after hearing their mix I am a fan of DiscoVERY! They have similar tastes to ours so if you dig OTR chances are you will dig this mix as well. From disco/nu-disco to electro-pop and back again. Been playing this mix on repeat at the apartment the last few days. Think you guys are gonna love it as much as I do. If you like what you hear be sure to click the arrow on the right there and save this baby to your hard drive for further listens. Recommended!